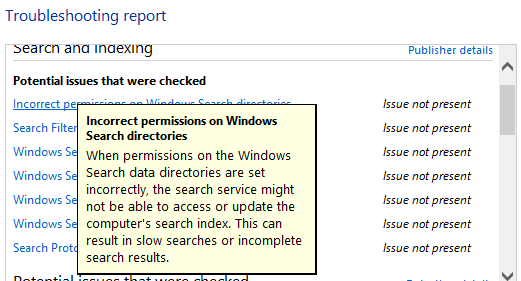 I broke Windows Search indexing because I didn’t give the SYSTEM user full permission on the folders I wanted indexed. We’ve been using a Fujitsu ScanSnap S1300i to scan all incoming paperwork (e.g. receipts, bills) since October 2012. The ScanSnap includes ABBY FineReader OCR functionality (not ABBY FineReader itself but instead ScanSnap links to ABBY .dll’s to do the actual OCR task). When the “Searchable PDF” option is used, ABBY OCR’s the .pdf and embeds the searchable text. A collection of searchable-PDFs is only useful if something indexes them and you can search that index. For most Windows users, the built-in Windows Search feature more than handles the task. A few months ago I had profiled Windows boot performance to find out why initial-logon was slow only to find out Windows Search itself appeared to be aggressively reading the disk so I culled the list of indexed folders to lessen the load. At the same time I rearranged folders to optimize disk usage and to simplify backups. But around that time I noticed that searching on keywords that previously returned .pdf results now instead returned “No items match your search”. If at this point I had tried searching for known PDFs in other locations (outside of my D:\Scans directory) I might have found out they were being returned. However since the vast majority of all my PDFs are within D:\Scans I didn’t even bother checking. Since other document types turned up in search results I assumed it was just a PDF-indexing problem. 1) Double-checked I hadn’t removed my scan folder from Indexing Options. I also tried removing and re-adding that folder. I clicked the “delete and rebuild index” button between some changes thinking it’d make a difference. 2) Ran the Windows Search troubleshooter– Control Panel > search “windows search” and clicked “Troubleshooting: Find and fix problems with Windows Search”. I checked the “Files don’t appear in search results” checkbox though I now suspect this is just a CEIP checkbox. I always got “Issue not present” on each of the issues checked, including “Incorrect permissions on Windows Search directories”, ha! 4) Reset Windows Search settings. Setting REG_SZ value SetupCompletedSuccessfully to “0” at HKLM\SOFTWARE\Microsoft\Windows Search\ reset all “Index these locations” folders in Windows Search. Re-adding the scan directory still didn’t help get those PDFs indexed. While I was at it I configured Windows Search to index more aggressively since I was spending time waiting for index rebuilds. a) Stop the Windows Search service. Open services.msc, find “Windows Search” and right-click it to stop. 6) Checked the contents of the Windows Search ESE database (windows.edb) to verify if this is an issue with the indexer not seeing or erroring-out on indexing of the files in question or an issue of storing the indexed values into the database. Windows.edb is a standard ESE/JET Blue database. I also reset Windows Search again (see step #4 above) and only configured it to have Windows index a few small directories, including a sub-folder of my much larger D:\scans directory just to keep indexed values to a minimum. 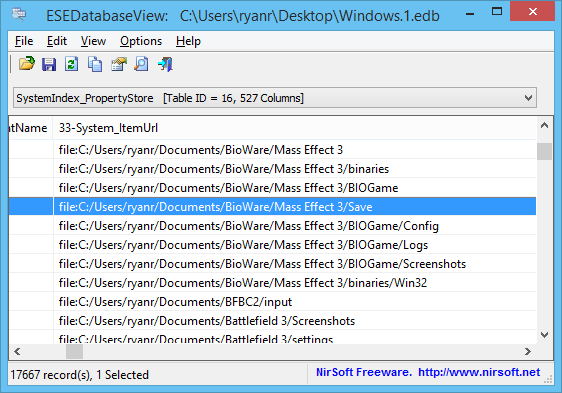 Copy file Windows.edb found at C:\ProgramData\Microsoft\Search\Data\Applications\Windows to another location. Download and run ESE Database View (note: this isn’t my file and I cannot 100% attest to its safety but at least you don’t need to elevate when running it). 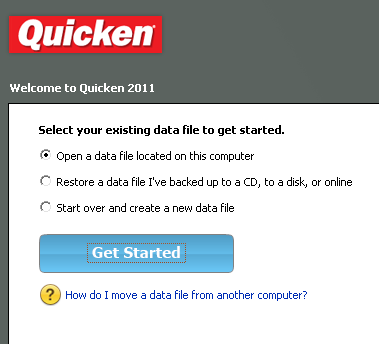 Open the previously copied Windows.edb file. From the drop-down, choose “SystemIndex_PropertyStore” and do a CTRL-F search for files which should be indexed. If they show up then the file has been indexed if not, then the file hasn’t been indexed. Note: if you get “0 record(s)” after selecting the “SystemIndex_PropertyStore” table, it’s possible your windows.edb file is too large or that table is too large. My smaller windows.edb file is 232MB, but now that I’ve got Windows indexing a much larger set of files it’s now 2.4GB. It’s possible ESEDatabaseView cannot open ESE databases over a certain size. Still a handy utility to know about. 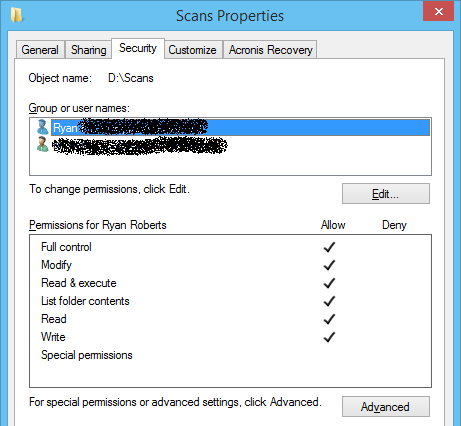 There’s the problem—SearchIndexer.exe runs as SYSTEM and I didn’t add SYSTEM to D:\Scans’s security permissions. I quickly granted the SYSTEM user permissions on all directories I wanted indexed and then rebuilt the search database. Very quickly thereafter I started getting the PDFs showing up in search results. Additionally, in my forum-crawling for solutions, I saw that others had success with copying files into the directory again to get indexing to work. I suspect this might work for them because Windows doesn’t use the source file’s ACL but instead rebuilds it based off the folder which might be accessible to the SearchIndexer.exe process.